Mini Mansions - 'Cheap Leather' music video. Mini Mansions have released a music video for 'Cheap Leather' - the B-Side to their single 'Vertigo’ and featuring Fred Schneider of The B-52's - which is one of my all-time favourite MM songs, and actually the ringtone on my phone FYI. Also, the band’s own Tyler Parkford directed and produced this! P.S. Click HERE to read our latest interview with Mini Mansions. MusicMini Mansions tease... ummm... something?! MusicInterview: Mister Goodnite on the 'Nite In The Attic' mixtape + 'Adulteress' premiere. 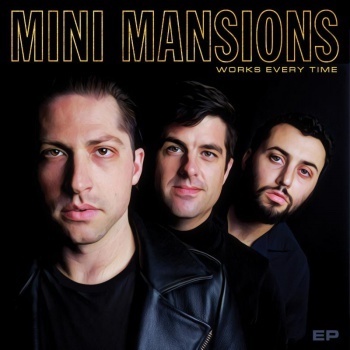 MusicMini Mansions - 'Freakout!' and 'Vertigo' live for Off The Avenue. MusicMini Mansions - 'Creeps' music video. MusicMust-listen: Mini Mansions' new B-side 'Cheap Leather'. UpcomingCoup De Main presents: Mini Mansions' 2015 NZ tour. MusicCall Mini Mansions for a good time! MusicArctic Monkeys announce 2019 NZ show with Mini Mansions. MusicMust-listen: Mister Goodnite's new song 'Fast Times In The LBC'. MusicWatch: Arctic Monkeys perform 'Four Out Of Five' live on The Tonight Show.